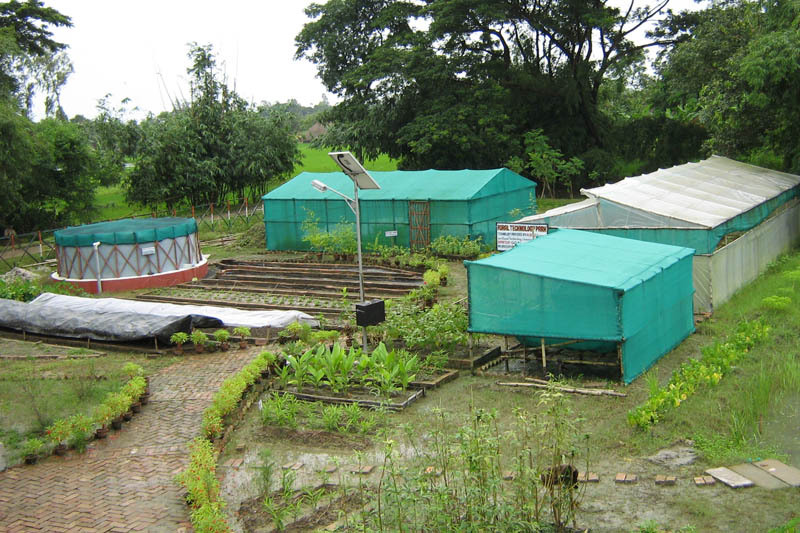 Pond Based Integrated Farming (PBIF) programme is an innovation of Sabuj Sangha. 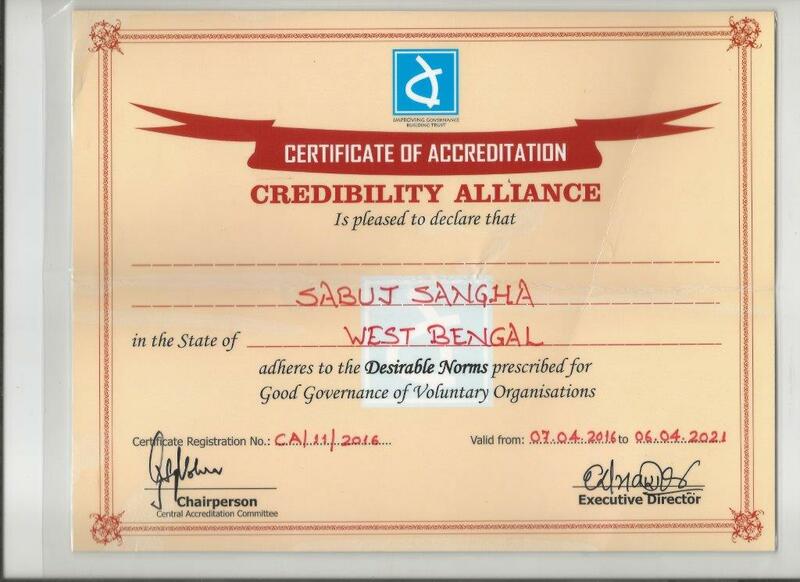 The needy families having four/five kathas of land and small water body have been selected involving local Self Help Group (SHG) Clusters and Sundarban Mahila Swanirbhar Gosthi Cooperative Society Limited (SMSGCSL). After verification through home visits the families are provided training on PBIF and financial assistance as loan. 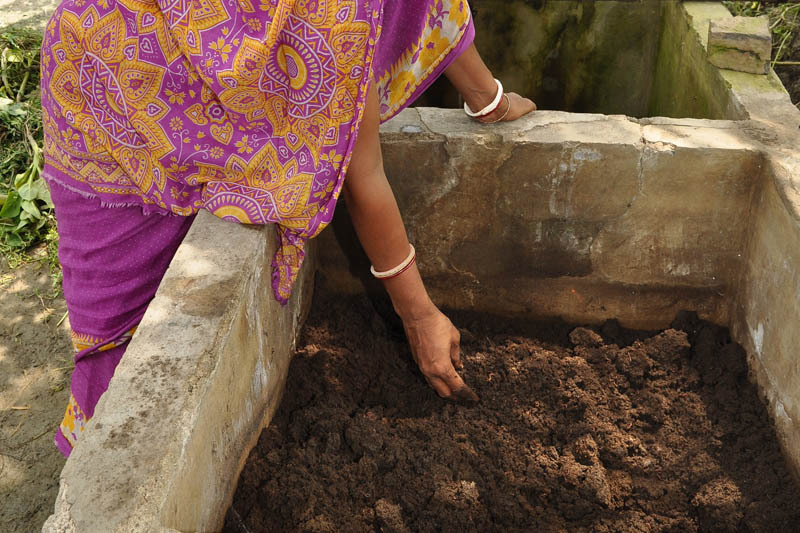 The components in PBIF include re-excavation of pond increasing water harvesting capacity, vegetable cultivation on the pond embankments also other vacant places through improved technology, fish culture in the pond, rearing of hen/duck and preparing organic manure vermin-compost with earth worm cow dung and organic substance. Produced goods primarily meet up consumption need of the family and rest are sold to local market. The beneficiaries repay the entire amount of assistance through small monthly installments. The SMSGCSL is responsible for regular monitoring of these families assisted and collect installments to develop community fund. The repaid amount is recycled to provide similar support to other families and thus, the programme is sustained. The Systematic Rice Intensification (SRI) method of Paddy cultivation has gained widespread success as the method of cultivation is cost effective and high yielding. Considerable increase in production, approximately 25-30% in adopting SRI method of paddy cultivation observed among the farmers practicing even among the progressive farmers who are doing traditional method for last 20 years. Although quantity increased in paddy production through SRI method varied farmer to farmer due to reasons, but more than 95% cases were successful. The farmers are also experienced through this process and are encouraged for SRI cultivation in large scale. It is observed that, the farmers cultivating in traditional method are gradually inspired adopting this method. The women are also involved in the process of SRI preparing seed bed, weeding, applying bio-fertilized etc. with men.